If Google really is about to announce the Pixel and Pixel XL on October 4, expect days like today to become commonplace. I’m talking about the amount of leaks, of course. 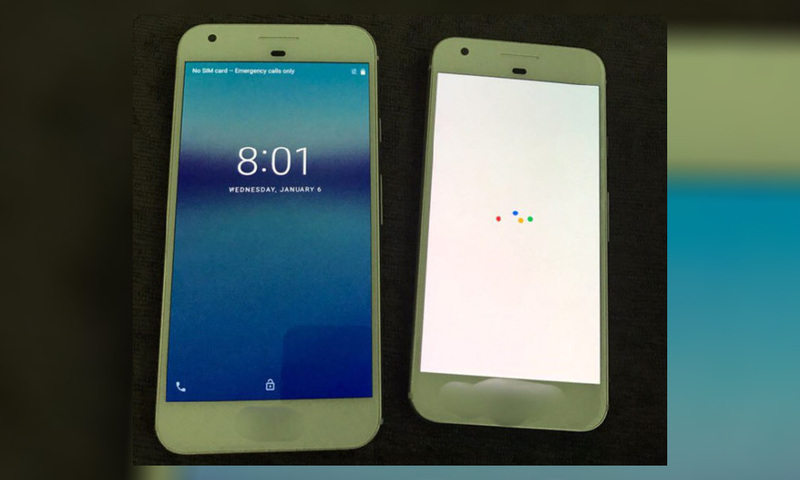 Shortly after talking about potential Pixel pricing and carrier availability, two new photos have appeared and show both phones both front and back. At this rate, October 4 might be pretty damn boring. So what do we have here? Well, above we have the Pixel XL on the left and the regular Pixel on the right. 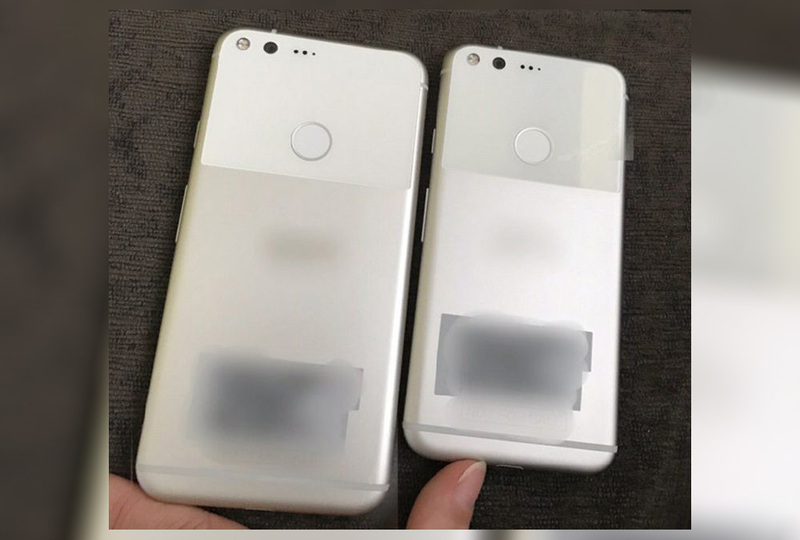 They are both white and silver with fingerprint sensors situated in the middle of some sort of glass or plastic plate that has been rumored previously. The rest of the body is metallic and looks identical to HTC-made iPhone knockoffs of the past. Funny, because HTC made these phones. On the fronts of each phone (below), we are seeing lots of bezel, more bezel, and then a sensor or two in the middle of more bezel. $650 worth of bezel, to be exact. Oh, and a boot animation that was found in the leaked “sailfish” dump that has been floating around for months.